BCPC has announced that Chris Todd, Managing Director will be retiring and that Julian Westaway has been appointed as his successor as of 1 April 2014. Julian Westaway takes over as new Managing Director for BCPC from 1 April. "This is a great time to be joining the BCPC,” says Julian. “The growing realisation that food security needs to be near the very top of national and international agendas makes the role of all those involved in the agricultural sector ever more important. With the pressures of growing populations, changing climates, environmental constraints and increasing demands on land use, an organisation such as the BCPC can play a key role in helping meet these significant challenges." Julian has a strong agricultural and electronic publishing background, which is an ideal fit with BCPC’s portfolio of products and activities. After gaining a BSc in Agricultural Science he joined the Milk Marketing Board before being appointed Group Production Editor of the Chemicals Group for RBI. In 1996 he set up Farmers Weekly Interactive in the role of New Media Editor and then became Electronic Publisher for the Farmers Weekly group. On leaving RBI he joined Defra as Senior Editor of the Rural Business Advice Channel and then joined UBM as Online Commercial Manager for the Farmers Guardian group. 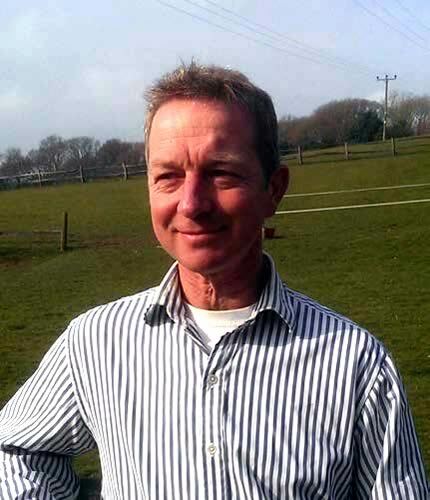 In 2011 Julian moved to Point Two, the innovative equestrian air jacket manufacturer, as General Manager.